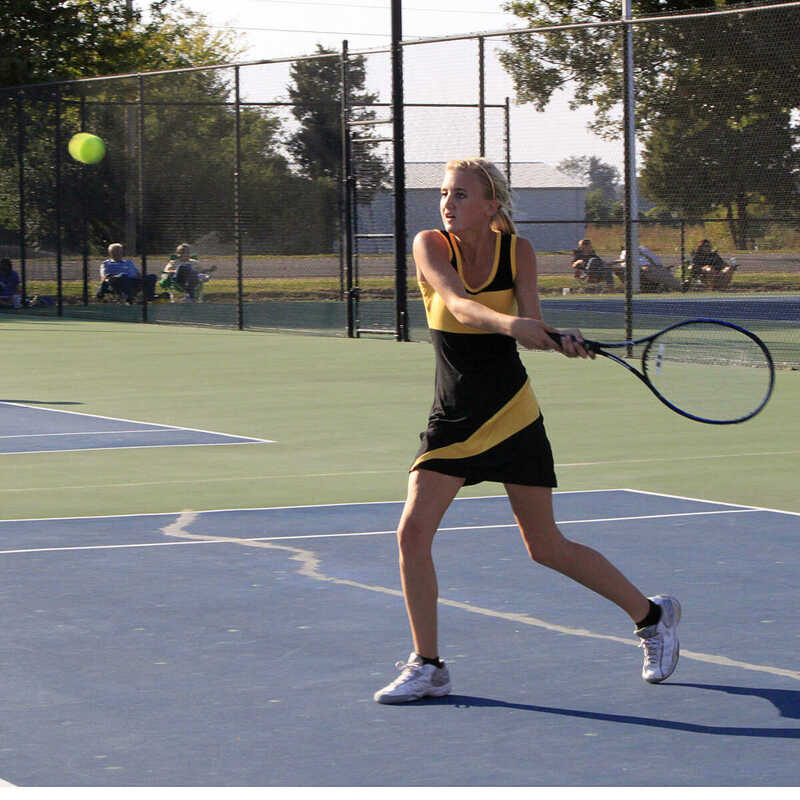 Photo provided Kennett's varsity girls tennis starters following a match earlier this season. 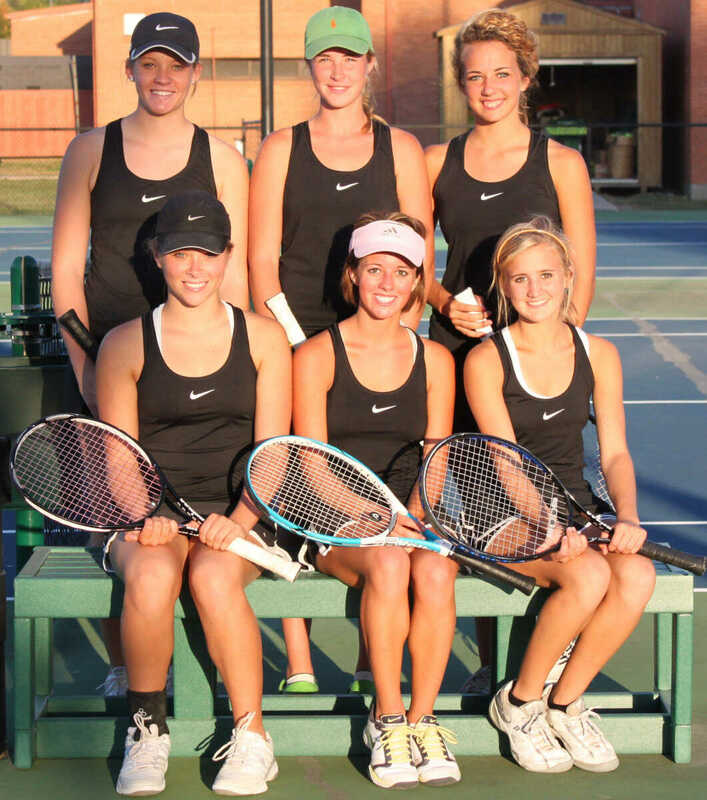 Pictured (left or right) are Kennett's Kate Shetley, Mallory Lancaster, Darby Sparks, Anna Kay Hilburn, Kelsey Washburn and Mackenzie Carr. 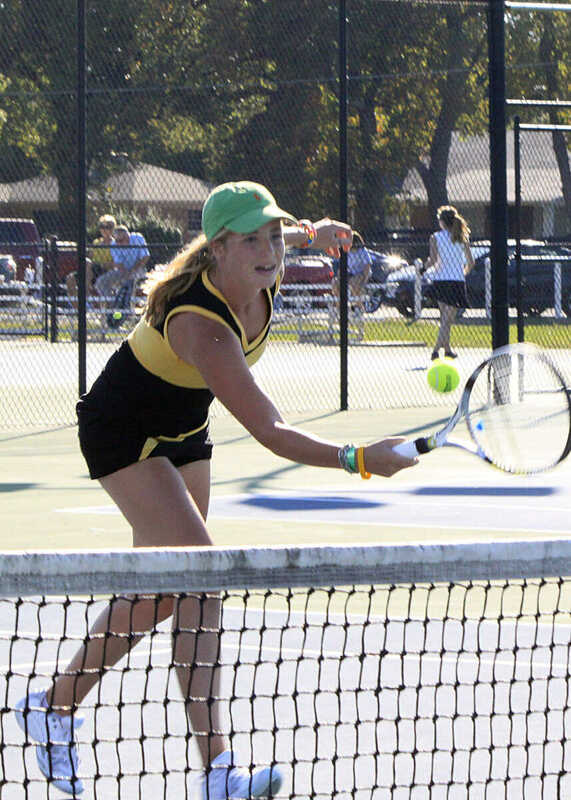 The Kennett girls tennis celebrates shortly after winning its team district tourney against Dexter Oct. 12. 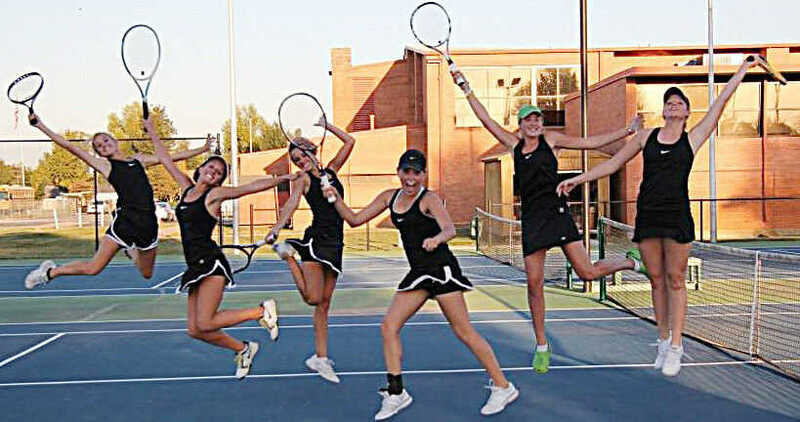 Pictured from left varsity starters Darby Sparks, Mallory Lancaster, Kelsey Washburn, Anna Kay Hilburn, Mackenzie Carr, and Kate Shetley. 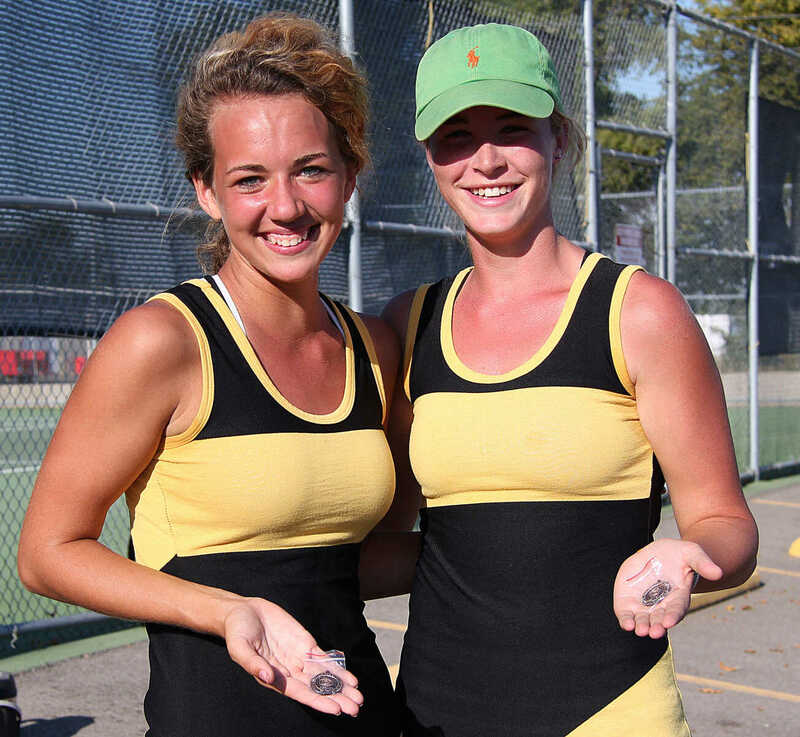 Kennett's Kate Shetley (left) and Darby Sparks right with their first-place medals following their win at the girls tennis district doubles tourney Thursday. 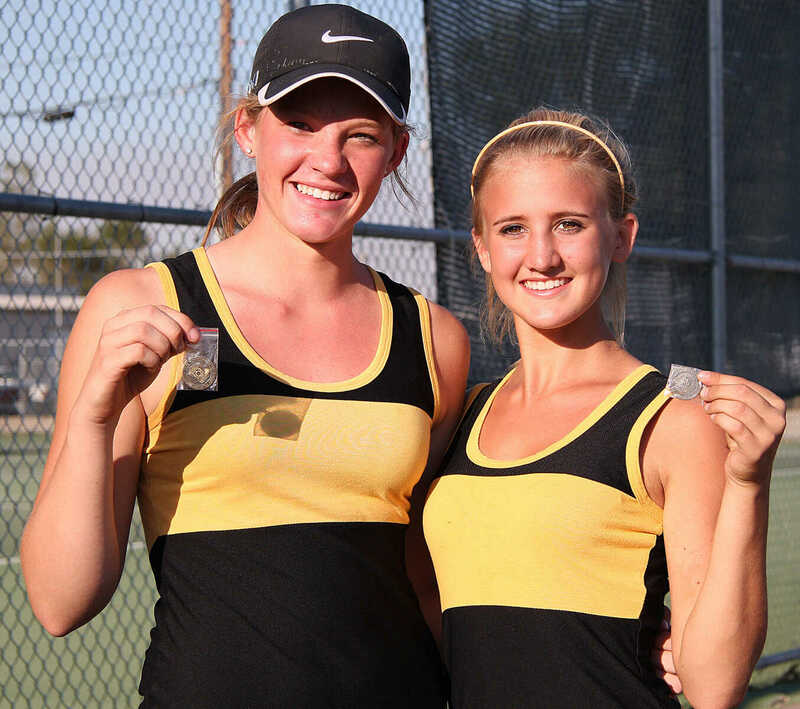 Kennett's Kelsey Washburn (left) and Mackenzie Carr (right) with their third-place medals following their third-place finish at the girls tennis district doubles tourney Thursday. 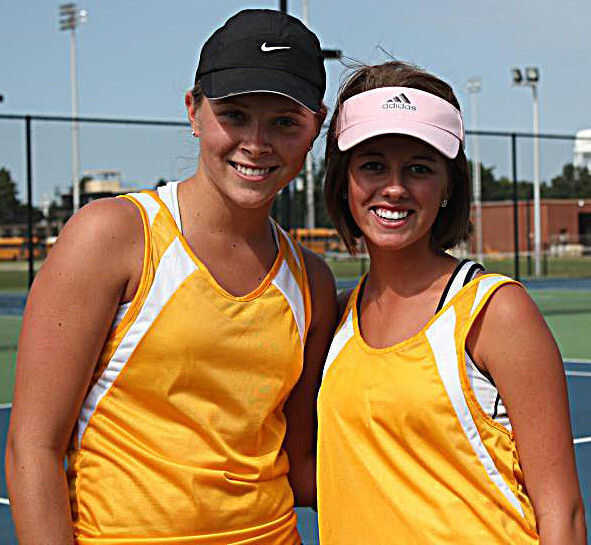 Photo provided,br> Kennett's Anna Kay Hilburn (left) and Mallory Lancaster (right). 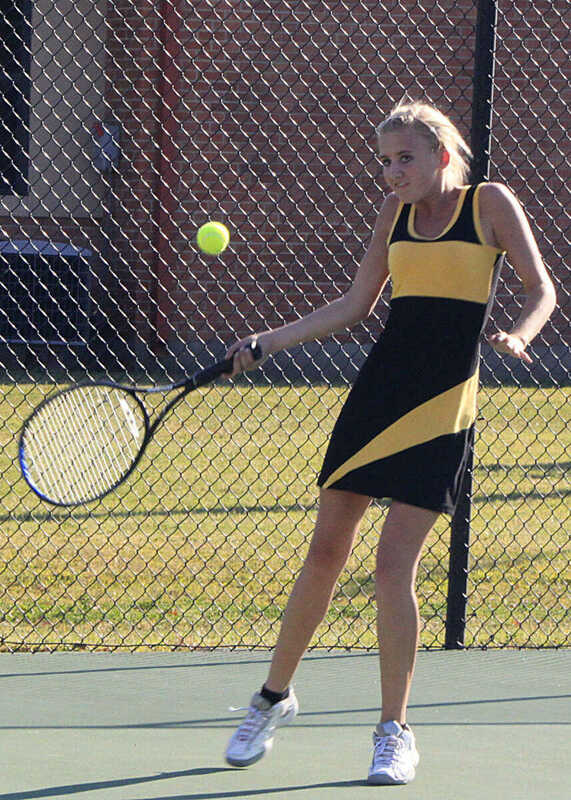 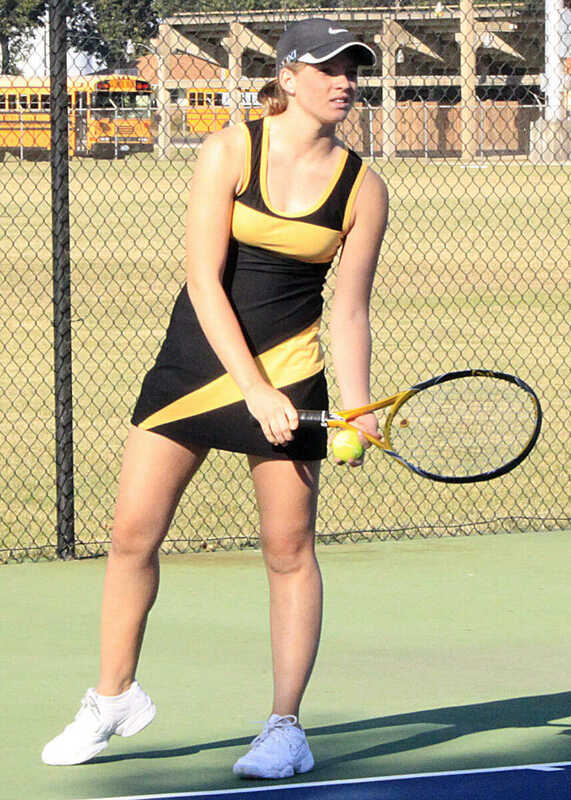 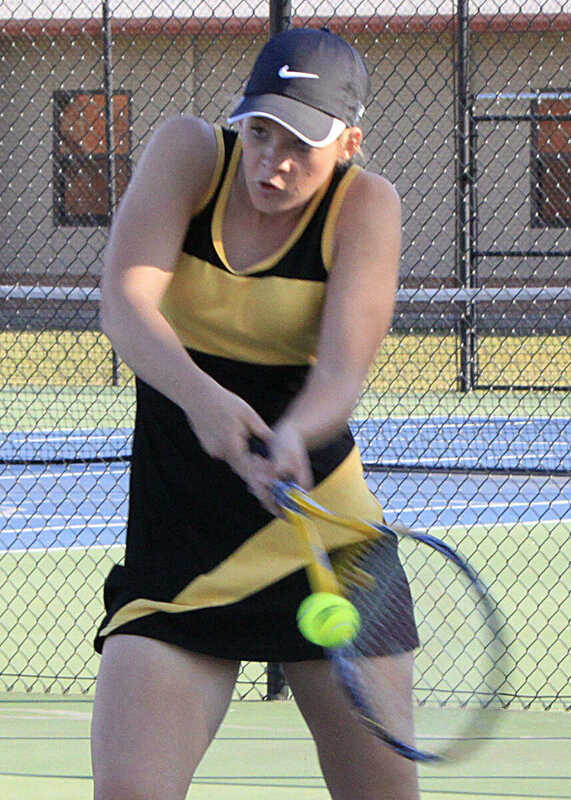 Hilburn and Lancaster finished third and fourth at the girls tennis district singles tourney Thursday. 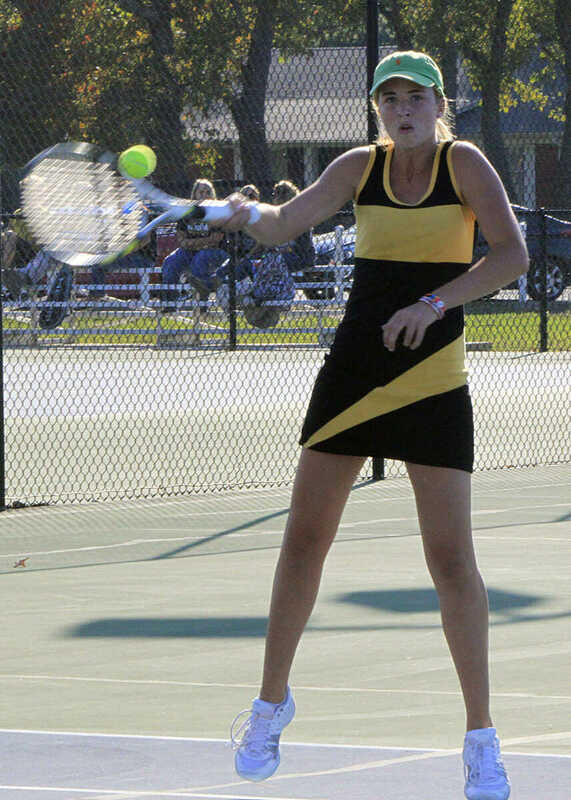 Lancaster and Hilburn will play their third-place match Saturday in Kennett. 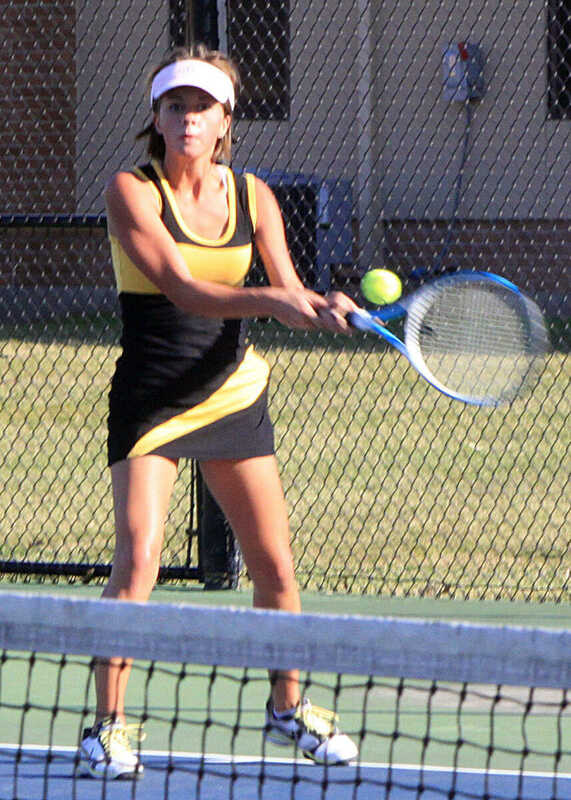 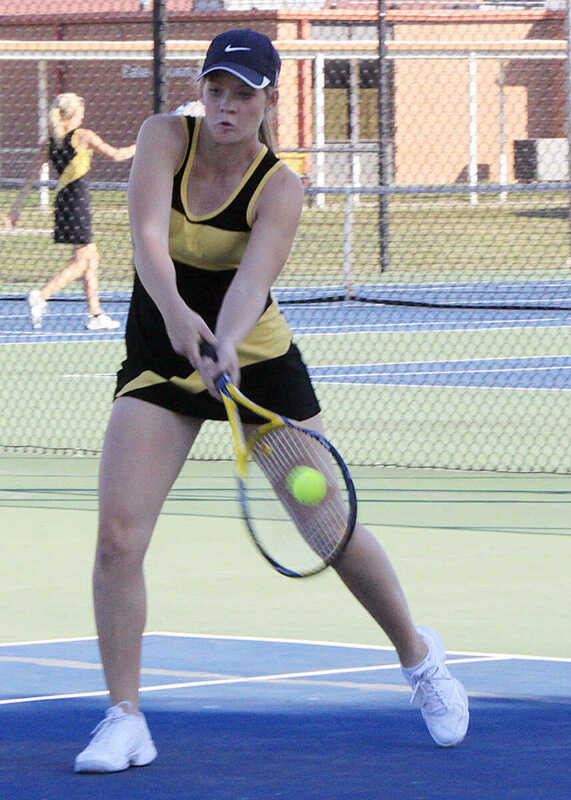 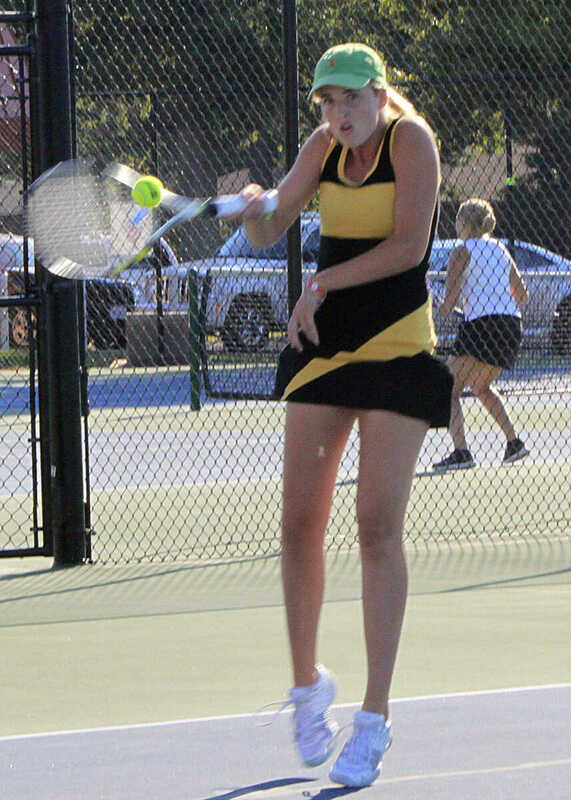 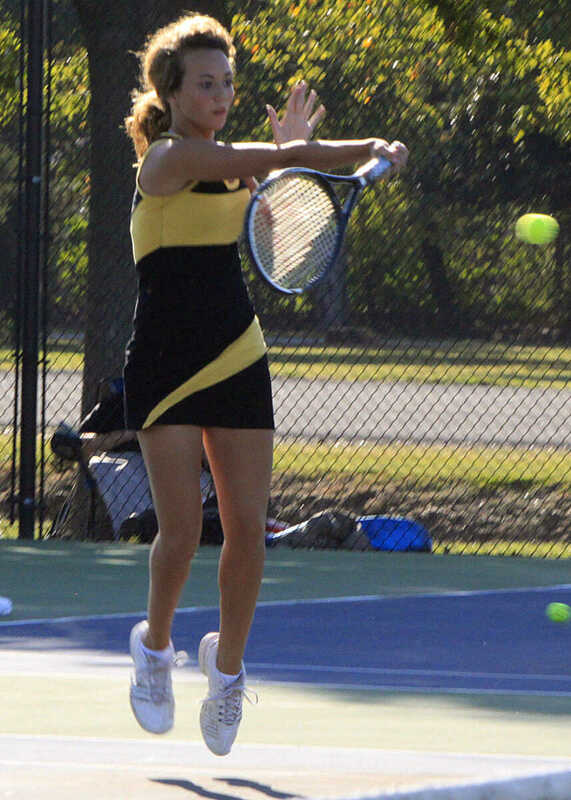 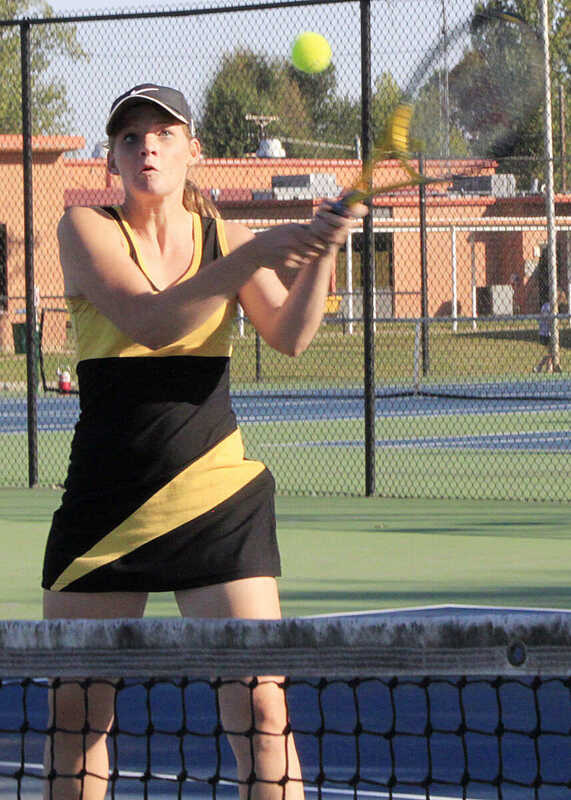 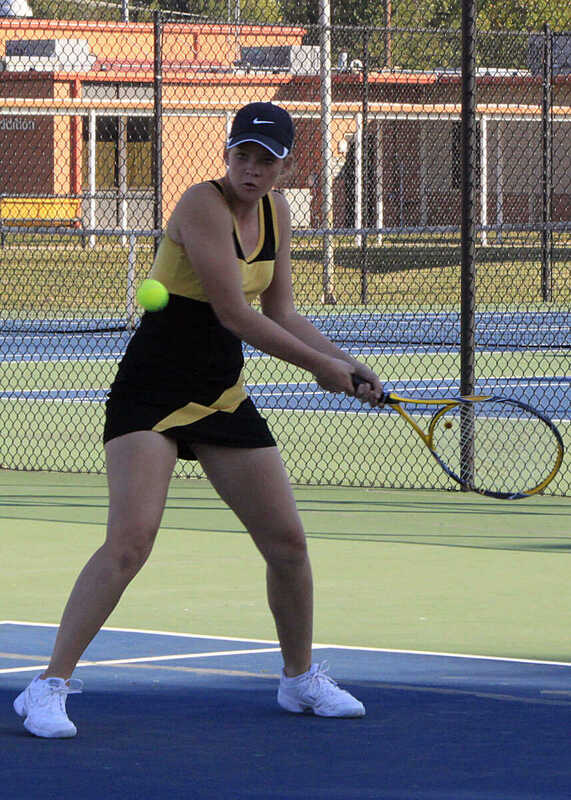 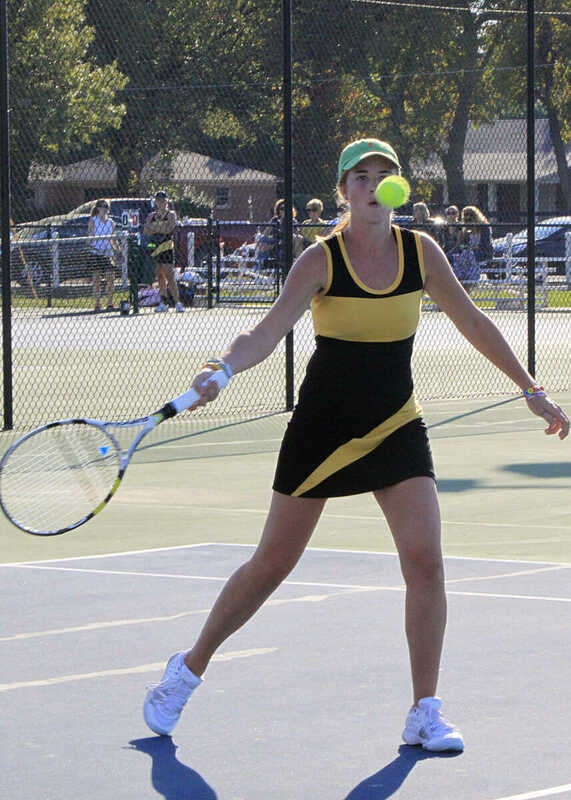 Kennett defeated Dexter 6-0 in the girls district tennis championship Wednesday. 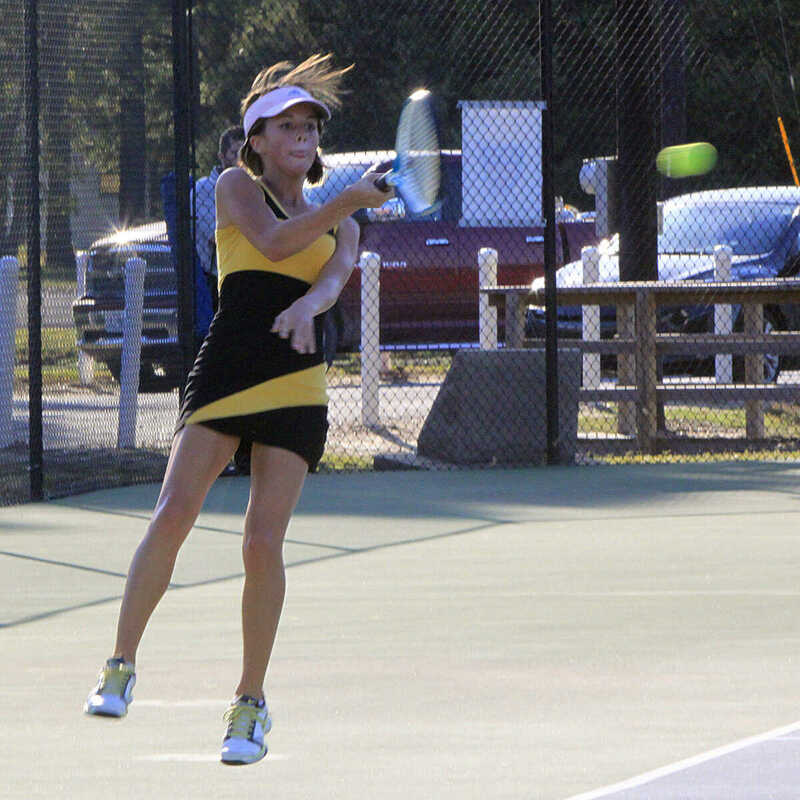 Pictured is the Kennett tennis team from left (front row) Anna Kay Hilburn, Mallory Lancaster, Darby Sparks (back row) Kate Shetley, Mackenzie Carr, Kelsey Washburn.